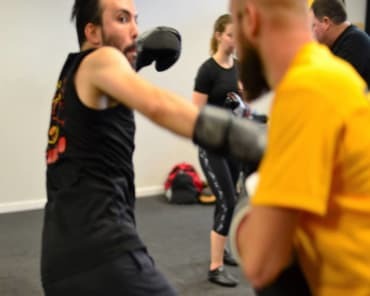 At Austin Impact Jeet Kune Do, we're giving you an awesome opportunity to jumpstart your training and learn the basics of Bruce Lee's Jeet Kune Do discipline! 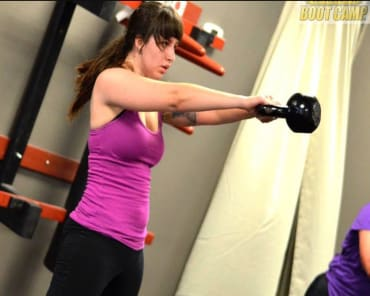 Our 6 Week Beginner Series is the perfect way for you to take on this high-energy system and enjoy the support of our professional staff each and every day. We're limiting this program to just a few spots to make sure everyone can enjoy hands-on instruction. Don't wait until it's too late! Click the button below to book a consultation call today! "Perhaps most importantly for a school where most of the class is spent in partner drills, I love the people I’m training with, who come from all backgrounds and skill levels. Everyone really looks out for each other while simultaneously pushing you to improve – and we all have a lot of fun while doing it." Why Is Our Beginner Series Right For You? From day one, we'll help you learn the fundamentals of footwork, punches, kicks, defense, and training drills. Don't Miss Out On This Incredible Opportunity. Book Your Spot In The 6 Week Beginner Series Today! 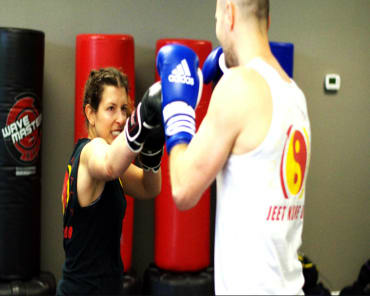 If you're ready to take on the world of Jeet Kune Do, now's the best chance to get started! We're helping men and women all across Austin see real results and have a great time in the process. Book your consultation call below and talk with a member of our staff about how we can help you thrive!